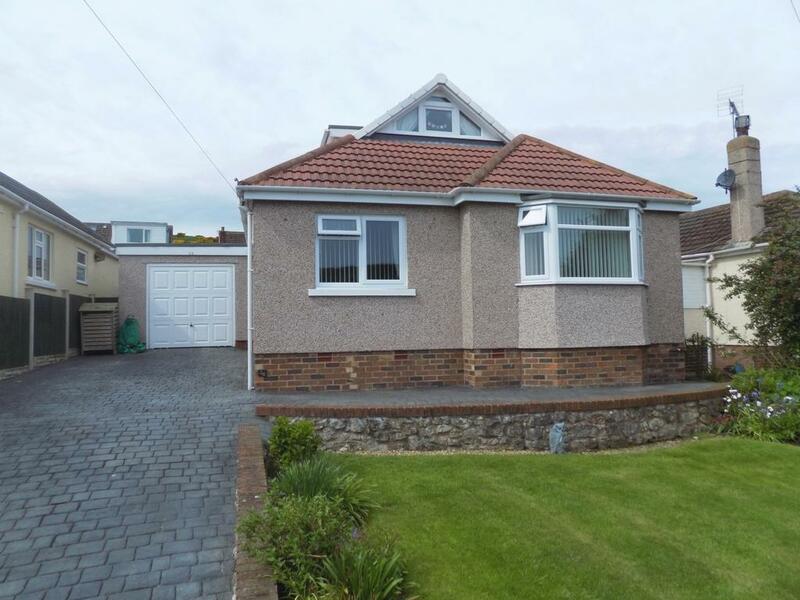 nu:move are delighted to present to the sales market, this immaculate, well-proportioned three/four bedroom Detached double fronted family home which occupies an elevated position within the popular but quiet, well established residential location of Cefn-y-Bryn Road, Llanrhos, Llandudno. The property is conveniently situated to take full advantage of all the local amenities that are situated within a few minutes' drive. This beautiful property is a real must see! Having been completely renovated and sympathetically extended in 2008 by the current owner, the property has been meticulously and thoughtfully designed, creating a spacious, light and airy well-proportioned family home. Deceptive in size from the exterior, this elegant home is well-appointed and finished to an extremely high presenting modern contemporary interior throughout. Once inside, you are immediately presented with the warmth of character which this home has in abundance. Leading from the oak floored hallway, a particular attractive feature includes double pitch pine doors with half glass panels that guide you through to the very spacious open plan living space incorporating the well-equipped fully fitted Kitchen, Living and Dining area complete with a sleek, highly efficient, dual fuel wood burner. The two sets of double patio doors in this open space enjoy the pretty view across the south west facing garden and radiates sunlight into the whole room. Offering ample family accommodation, and benefiting from an additional downstairs bedroom (currently being used as an office) and also from the spacious downstairs bathroom that also includes a fully tiled wet room which is ideal for extended family living or disabled requirements. The open plan design benefits from cleverly planned disabled accessibility should it be required which also includes easy access to the garden via the two sets of double patio doors. With a further two double bedrooms and additional bathroom upstairs, the welcome addition of this space is enhanced by the added light that streams through the large feature window on the landing which has a panoramic picturesque sea view to The West Shore of Llandudno and Anglesey. The property is reached via the private driveway which has been professionally designed and laid, constructed of high quality, extremely hard wearing specialist concrete formed into a block design, which provides ample private off road car parking spaces for several vehicles, also leading to the detached single integral garage with up and over door which provides ample storage, lighting, power points and plumbing points for washing machine within the utility area. The garage also benefits from a UPVC double glazed window to the rear garden elevation and UPVC double glazed door that leads to the garden, both of which create a light and airy space. Benefiting from front and side feature elevation garden areas, the front garden is raised and laid to lawn and well stocked with pretty plants and shrubs and designed for low maintenance. To the rear of the property, the garden area provides a good degree of privacy from its peaceful surroundings. Well designed, the lawns are raised but level and a gentle sloping path provides access to the lawn areas and raised vegetable bed, made all the more private by the mature bushes and pretty climber's greenery encompassing it. There is also an ample sized sun terrace/patio area to enjoy the summer evenings. The property is located close to traditional Victorian town of Llandudno, home of the Great Orme, The Victorian Pier, Blue Flag Beaches with Beautiful Promenade, Venue Cymru Theatre, local leisure amenities also offer 18 hole links Golf Course, Tennis Courts, Leisure Centre, Shopping Retail Park, Bars and Restaurants. Also nearby is the Village of Deganwy offering Tea Rooms, Wine Bars, Restaurants, 5* Hotel & Spa, and of course the wonderful Marina and Quayside. Llandudno offers good public transport links via numerous bus services and by train from Llandudno train station. Easy access routes are available via the A55 expressway and A470 which provides easy access to Chester, Liverpool and beyond via the motorway network. This Stunning property comprise briefly of: Hallway, open plan living space incorporating Lounge, fully fitted modern Kitchen with integrated appliances and dining room. Also to the ground floor is a double bedroom, additional double bedroom/office, spacious bathroom to include wet-room which benefits from disabled access. Spacious integral garage incorporating utility room. To the first floor there are a further 2 double bedrooms and an additional bathroom which incorporates an enclosed corner shower.